The classic journey into the woods has had a number of terrifying connotations over the years. Who can forget poor Red Riding Hood and her stalking wolf, or the hobbits getting lost and nearly eaten by spiders? Or more recently, the Slenderman appearing out of nowhere and making your screen shudder violently? Not all woods are places of horror though – in fact, my local has a nice picnic area and a dog washing post. But others still hold many myths and things that lurk in the shadows. 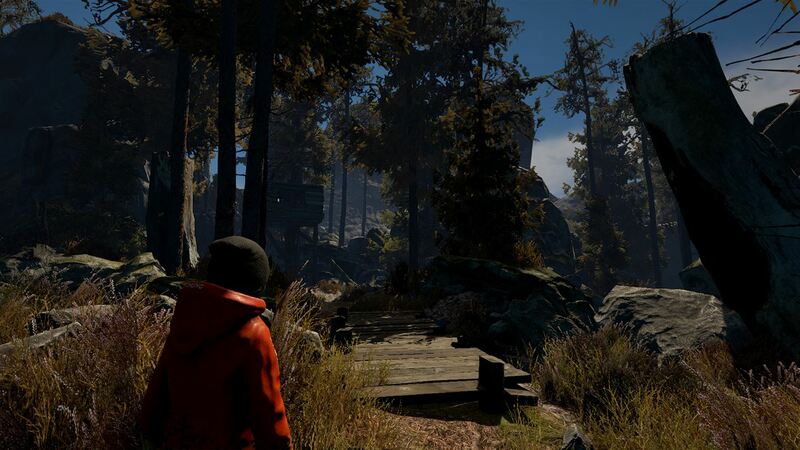 Through The Woods is one such game… one in which horror lurks and everything isn’t quite what it seems. 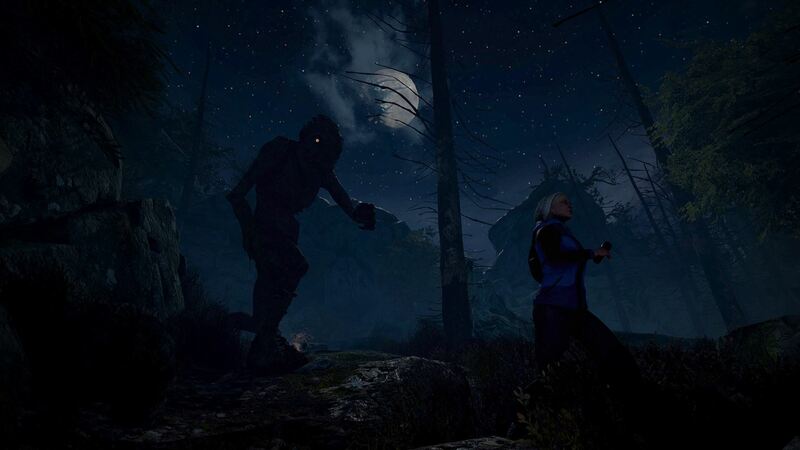 There are a mass of indie horror titles currently available on the latest systems, and Through the Woods is another story led horror thriller that is original, in both its concept and location. 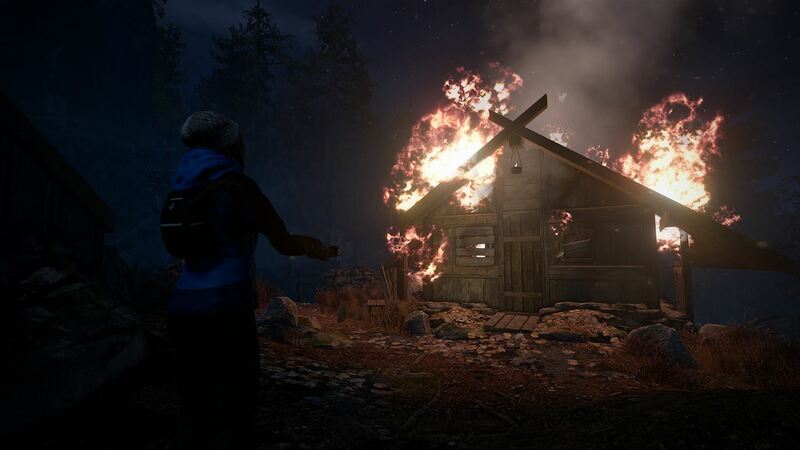 You play as a mother and her young son who are on a weekend break in the wilderness of Norway, in a little cabin near the woods. The father in this relationship has passed away, but everything else seems normal… at least to begin with. We are shown that the mother-son relationship is strained because of the parent’s workload and tiredness from her job. And then the son is kidnapped by a strange old man, and this sees his mother head off on an unfamiliar journey across an island that warps time and logic. Through The Woods mixes old Norse legends that talk of devils taking children, burnt settlements, and text scattered around, with old tales of the supernatural and an epic hike. It is as you journey further on, will you begin to encounter strange creatures like Trolls, witches and huge wolves that want to eat you. It is however the story that is where the heart and soul of this game lies, and it tells a very satisfying tale while mixing a modern day narrative with the old legends. The writers don’t ever shy away from dealing with some pretty heavy subjects centered around the main character and her backstory, and it is this which sees the game deliver some rather dramatic moments. The ending especially is exceptional. Your control of the character and movement through the woods is done at a canter; a sort of half run. You have a torch with you, and a bit later a flaming piece of wood, but there isn’t an attack option, or the chance to dodge – it’s all about avoiding danger and finding the best course of action in order to get from A to B. If you happen upon a troll, run for your life. If you see a witch-like creature, shine your torch at it and then run for your life. And whilst that is all well and good, the main problem is that the actual gameplay is not very exciting. At least with first person games in this genre, there is a sense of tension and realism to the horror, but Through The Woods doesn’t feel scary at all. Not even once. There are however lots of woods to explore, and going through the landscapes are fun, but just as things start to get going, it all becomes a bit dull. There are secrets to discover along the way – and these in themselves mean you’ll need to go off the beaten track – and that’s a bit more enjoyable – but overall the game loses the advantage it initially delivers. Whilst it will take you around 4 hours to complete, coming across as just about the right length for a game of this ilk, the dull gameplay doesn’t help matters. The visuals on display in Through The Woods are also a bit of a mixture; of the sublime and the not so hot. The landscapes, foliage, and skies are, at times, amazing, especially when you head into a strange place and time. 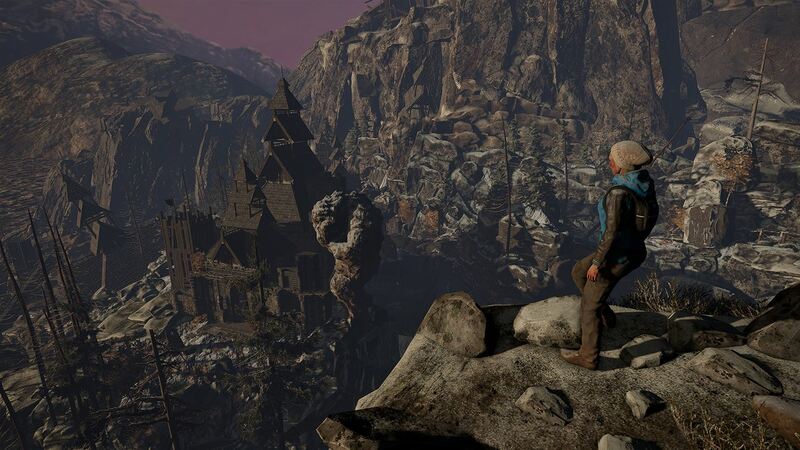 But the character models come across as a bit rough around the edges and are certainly not as good as we have come to expect with the latest gaming trends. The terrain is diverse, but the actual villages you come across can get a bit too generic at times. The soundtrack though has some excellent composition and the voice over is good, with some chilling groans and screams from the creatures of the night that scared my dog to bits. I really enjoyed the two wolves towards the end of the game and the central performance of the mother is a strong one. Will you like Through The Woods? Well, I love indie games that have a strong voice and really unusual tales to tell. Through the Woods has all of this and much, much, more with a brilliant, unusual story that is fun to be part of. It doesn’t shy away from the dark and tricky storylines which is brave, and should be admired. I think the gameplay lets the whole experience down though, because it doesn’t feel terrifying or interesting enough. After a while, it just becomes a bit tedious. I would love to see what the development team at Antagonist do next though, as they bring an original voice… and we need as many of those as possible in the gaming industry.